Mark your calendars for Sunday, September 9th! 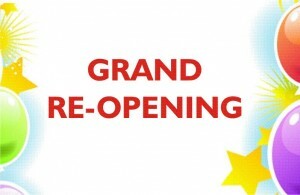 It will be our Launch Sunday for the new year, as well as a Grand-Re-Opening , celebrating the completion of construction! We need 3-4 strong men to come on Saturday, September 8th, 8 am, to set up the tents for the celebration the next day. We also need people to come early on Sunday, September 9th, 8:30 am, to set up the tables and chairs for the celebration! If you’re willing and able to help with either of these tasks, please contact Jill Richman as soon as possible.